Q: Good job, mate. Sebastian, well done, mate. It was a bit of a Mercedes show tonight unfortunately. You’re handy around here, but you couldn’t fight enough for the pole position, right? Sebastian VETTEL: I was going to say: I’m getting better, you always had the edge here in qualifying. It think it was a good session. Obviously a bit of a shame to be that far back, but tomorrow we see, on race pace I think we can be a bit closer, but they have been very, very strong. Valtteri obviously had a mega lap, so congrats to him. We’ll see. It should be a fun race. Overtaking is not always straightforward but not impossible here, so let’s see. Q: Sebastian, half a second the margin to Mercedes. Maurizio Arrivabene, on the pit wall, shook his head when he saw the gap. Were you shaking your head as well? Was that a little bit more than you expected in this qualifying session, and can you turn it around in the race? SV: Overall we tried everything. I think the balance of the car was good all weekend. We trimmed it in the right way. Practice this morning was a bit tricky but qualifying really came together, so I’m quite happy with that. The gap is big but also it’s a long lap, so naturally the gaps are a bit more spread. I think in the race we usually get a little bit closer. Qualifying we’ve seen all year that we’ve never had the car to put half a second between us and somebody else. For the race I’m fairly optimistic. I think yesterday was good, we tried some stuff, so we’ll see how close we get tomorrow. We touched on overtaking – it’s not the easiest one but it’s not impossible, so let’s see what we can do. Q: (Flavio Vanetti – Corriere della Sera) Sebastian tomorrow in your mind you will have the attempt to try to win or the defence of the second place in the championship? SV: What do you think? I think we’re here to race. Obviously it’s important to seal second place. We are in a better position than Valtteri but he starts the race from a better position than we do. Let’s see. It’s a long race but we’re here to race and the ambition obviously is to win, to get to the podium. We had a bit of a wobble finding our places, Lewis and myself, where’s second, where’s third here in the press conference, so it’s always better to aim for the middle I guess. 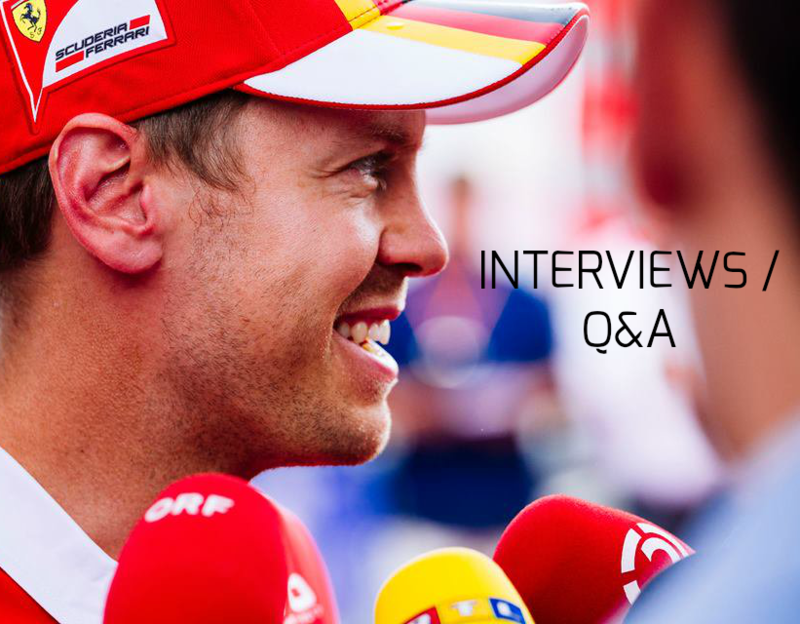 Q: (Graham Harris – Motorsport Monday) Another one for Sebastian. 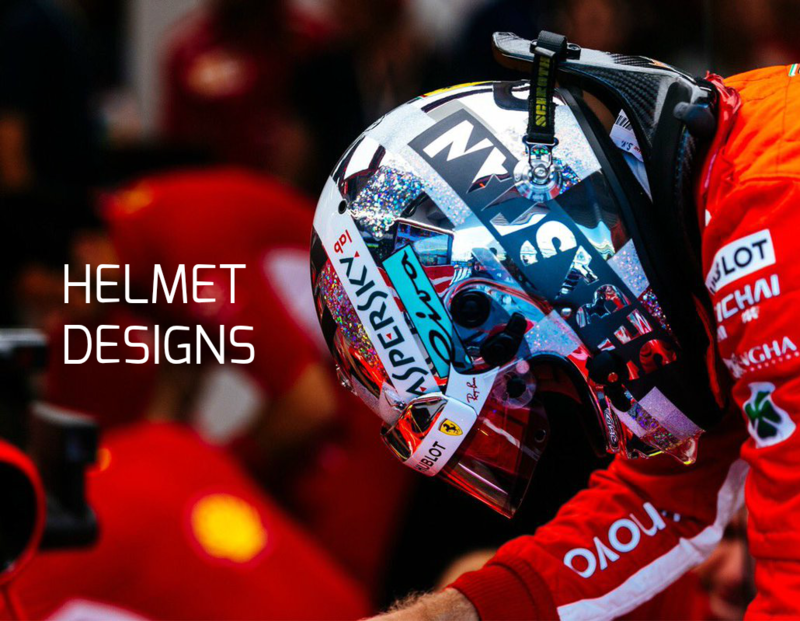 Earlier this week you said you were determined to take Ferrari to the top – but it was hard. Just how hard do you think it’s going to be? Is it going to be next year, or the year after? SV: Well, I don’t know, we haven’t achieved it yet. I think, as a team, we’ve taken some big changes. I think overall it’s heading in the right direction. We have a very competitive car, we’ve had a very strong year. Obviously we would have liked it to be a bit different at the end but yeah, it doesn’t matter now. We look forward. The year is more or less over, we have one more race and we want to finish with dignity. 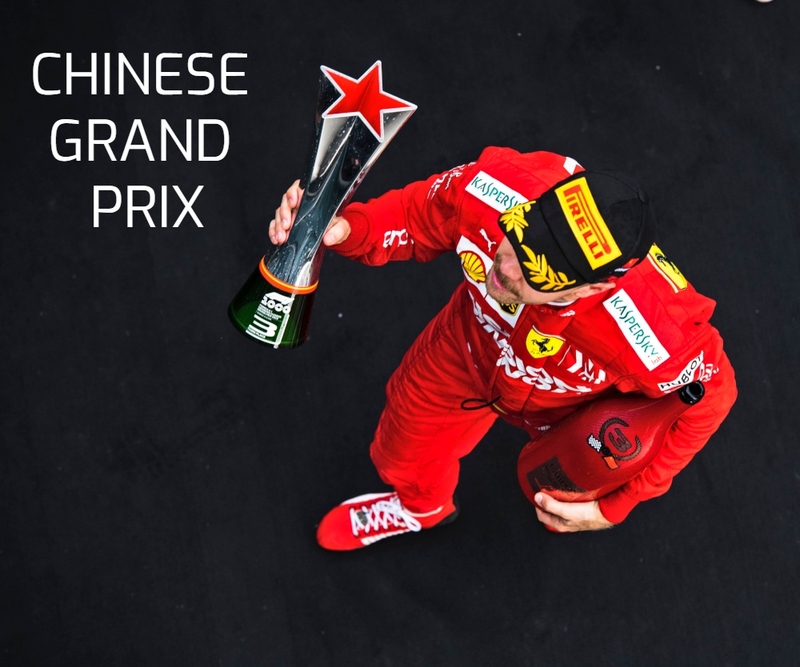 We want to show that we’re here to fight and we want to get Ferrari on the podium and ideally win the race. Let’s see what we can do – but overall it is hard, but everybody involved, you can ask the same question, they’ll give you the same answer. I’m obviously one of the drivers that’s driving the car, that’s my main job but overall I think we’re all seeking to improve and so far I think we’ve done pretty well. If we can do another big step like that, we’re heading in the right way. Q: (Andrea Cremonesi – La Gazzetta dello Sport) Question for Sebastian and a question for Bottas. For Sebastian, it seemed like you lost a lot of time in sector two. There is something lacking in the speed? And for Valtteri, if I don’t make a mistake, you won just once starting from the pole. How important after what happened in Interlagos will it be to start well tomorrow and then keep the position? SV: I think you’re referring to the time-loss compared to the best overall time in sector two which – I don’t know – maybe Valtteri or Lewis had? I mean, it’s a long sector but there are a lot of straights. I think the corner bit we got it right, I was fighting a little bit throughout qualifying with the sequence of Five, Six, Seven, so I’m looking forward to get back and have a look. Overall I was pretty happy with the car around the lap, in particular, compared to previous years in sector two. But yeah, I saw as well that we’re losing quite a bit of time, so I don’t know. I guess it’s probably on the straights but we need to see. Q: (Graham Cagyill – The National) Question for Sebastian. The last time you were in a championship season when you missed out on the title and you had a chance of winning it was 2009. When you missed out to Jenson and you came to Abu Dhabi for the first time, and you went on to win this race and went on to win the championship the following season – so I was just interested to find out how much that win in 2009 helped you in your confidence for 2010 – and do you think something similar tomorrow could help you for 2018? SV: Well, I’m a lot older than I was back then for a start. A lot wiser. I think, yeah, 2009 for myself was obviously the first time that I found myself in the front of the field, every now and then, and also for the team back then. I think yes, it did give us huge momentum for the year after, for the winter. I think the whole year gave us confidence. Then 2010. We had an incredible car and it was very close, to win the championship, I think we should have done better – but yeah, I had my mistakes, I think we have some here and there. Bu tin general I think the last race is important. Obviously if you’re not in the fight for the championship, it still is important to set things up for the winter, just give a boost to the whole factory. So let’s see what we do. I don’t believe that the result tomorrow determines next year – but for sure a good result always helps you, gives everyone a boost over the winter, so we try our best.